Registration has now opened for New Zealand’s first BIMinNZ Conference being held in Wellington on Wednesday, 8 May 2019. NZIOB chief executive Malcolm Fleming says: “This one-day conference on Building Information Modelling (BIM) is an industry partnership run by the NZIOB on behalf of the BIM Acceleration Committee (BAC). BAC was an entity created as an output of the government sponsored Building and Construction Productivity Partnership, which viewed BIM as a leading tool to enhance productivity levels in the sector. The purpose of the May 2019 BIMinNZ conference is to showcase the productivity potential of BIM, along with its potential as an innovation enabler. Two US-based keynote speakers have already been confirmed for BIMinNZ: Dave Rendall, the author of The Freak Factor; and Brendan Dillon, BIM Manager at Denver International Airport. David Rendall has spoken to audiences on every inhabited continent. His clients include the US Air Force, Australian Government, and Fortune 50 companies such as Microsoft, AT&T, United Health Group, Fannie Mae, and State Farm. Prior to becoming a speaker, he was a leadership professor, stand-up comedian, and non-profit executive. Between presentations, David competes in ultramarathons and Ironman triathlons. He has a Doctor of Management degree in organisational leadership, as well as a graduate degree in psychology, and is the author of four books: The Four Factors of Effective Leadership, The Freak Factor, The Freak Factor for Kids, and Pink Goldfish. Brendan Dillon manages the Digital Facilities & Infrastructure Programme for Denver International Airport (DEN). DEN is the sixth busiest airport in the United States and has developed a comprehensive BIM and Asset Management plan unsurpassed by any airport in the country. DEN’s DFI program manages over 120 projects at a time with a net value in excess of $2 billion. Prior to joining DEN, he had managed over $1B in BIM projects, including as the BIM standards coordinator for the design team on Denver International Airport’s South Terminal Redevelopment Project. 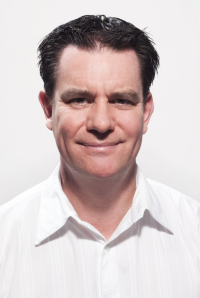 Brendan is also the founder of the annual Airport Information Integration and Innovation AI3 forum and is the founder of Red5ive Consulting, specialising in BIM deployment and integration for airports. Several leading New Zealand and Australians speakers have also been confirmed to speak to the conference’s session topics: Setting Client Requirements, Design, Construction, Specialist Trades, and Asset and Facilities Management. Original generation time 1.5625 seconds. Cache Loaded in: 0.0679 seconds.